Not only have you found it. You’ve also stumbled into a world of home performance excellence! At PV, we don’t just “do” HVAC. We create smart, whole-house solutions that keep Alpharetta comfortable. From Mansell Crossing to McGinnis Ferry Road, we cover all of Alpharetta. 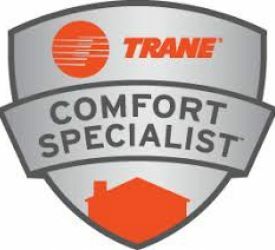 Our whole-home approach that pinpoints comfort and efficiency problems at the source. That way, we can create the best solution for your home. Rigorous quality control for “perfect on the first try” installations. At PV, we always perform Manual J load calculations and follow industry best practices for installation and testing. Our Grade A+ service agreements, which include two inspections per year. Both inspections consist of AC and furnace tuneups, energy efficiency testing, and safety monitoring. 60,000 residents. 12,000 amphitheatre seats. 1 dependable HVAC company. That’d be us, by the way. No, not the amphitheatre. The HVAC company. 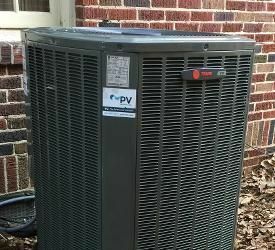 When you hire PV to service your Alpharetta home, you’re investing in quality, comfort, and dependability. After all, your home is one of your biggest investments. You deserve to be comfortable inside it, no matter the season. If you’re looking for an alternative to ordinary, “keep your fingers crossed” HVAC contractors, you’ve found ‘em. Need service? We’re already on Windward Parkway, headed in your direction. 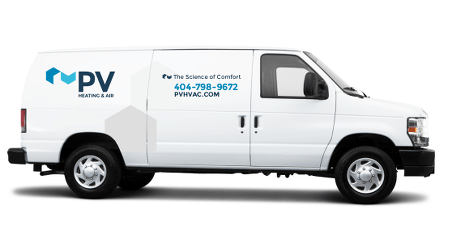 Busted HVAC in Alpharetta? Just give PV a shout.